The Panthers beat a lackluster Sea Argo 10-2 to get the weekend underway, with Ken Saunderson opening the scoring in the 1st minute on his way to a personal tally of five. Stanny Francis added a couple of his own, with Shannon Lawrence, Leon Smith and Wayne Phillip completing the rout. Janel Ferdinand scored both for Sea Argo who remained rooted at the bottom of the standings. One Love showed their Championship credentials as they then came from two goals down to beat Old Madrid 3-2 and leap frog the idle Sugar Boys to top the standings. 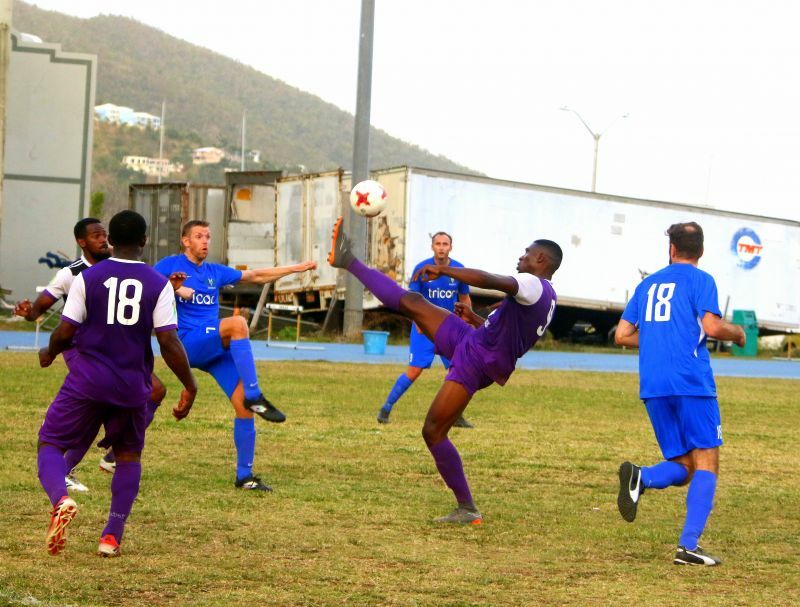 Xavier John and Frederick Salmon gave Old Madrid a 2-0 half time lead before Akeem Campbell made it 2-1 in the 58th minute, Breaton Douglas made it 2-2 10 minutes later and Richard Morgan put One Love ahead for good in the 78th minute. The Rebels followed up on their 1-0 win last weekend against the Sugar Boys by completing a sweep of Virgin Gorda, beating VG Utd 1-0 on a goal from Fladimir Septus and the Islanders crept up into third place with a 3-0 win against the Wolues, thanks to a brace from Kevin Fisher and one from Francis Primo.